Yesterday, I wrote about taking it easy. I can’t believe the number of people who told me they were feeling the same way. Maybe it’s because so many of us are going through the same “season” of life. Or, maybe it’s just the way the world has changed. Technology at our fingertips is such an amazing thing, but I find that it also means I’m plugged in and thinking during most of my waking hours. It’s like keeping up a friendship. Miss something and you actually miss.something. Especially if you’re like me and get a little lazy about your friendships because you assume they can keep up from your Twitter feed, or Facebook profile, or blog posts, or daily life on Instagram. As part of my mission to sit back and relax, I’m also vowing to put the phone done more. It’s my crutch. It’s always nearby in case I need to snap a cute picture of my kids. While that may be the case, I don’t need to see what has happened on Facebook in the past 20 minutes. Chances are that someone shared a meme that I don’t care about or posted a link to an article that I won’t read. So, I’m taking a back seat in an effort to focus on my new to do list. To start it off right, last night I snuggled with my boys and we went on a walk. It wasn’t all sunshine and roses, but I choose to only focus on the good. Dinner table chatter with my little man. Snuggles with my sleepy baby. I choose to enjoy life and not let it get the best of me. I choose them. When I choose them, it only helps better me. 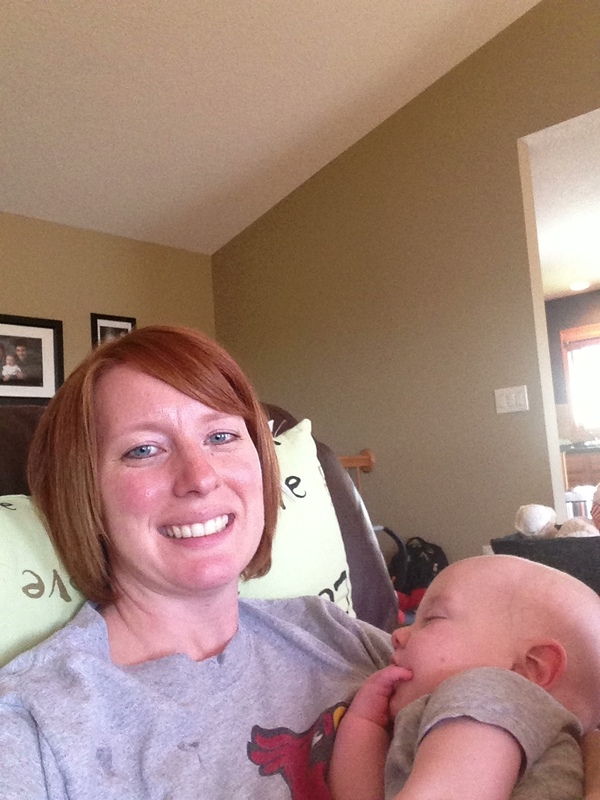 This entry was posted in Family, Life, Motherhood by Kyley Leger. Bookmark the permalink.